People Chain is part of the Big Data series. How might we foster people encounters in the city by introducing technology? People Chain is an urban project that fosters spontaneous gathering of people in public spaces by using technology as an excuse. 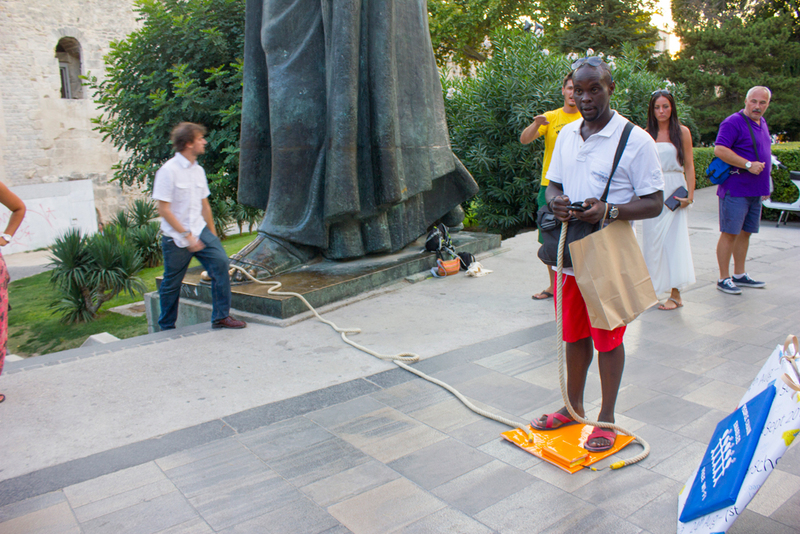 The way it works is the following: a rope links an orange mark on the floor to a city landmark. By forming a human chain from the orange mark to the city landmark, people will enable a free wi-fi hot spot on that area, thus allowing them to check the internet on their mobile devices until they keep touching each other’s skin. The technology behind People Chain is a galvanic skin response switch, consisting of the two electrodes at the rope ends, that turns on and off the mobile hotspot. 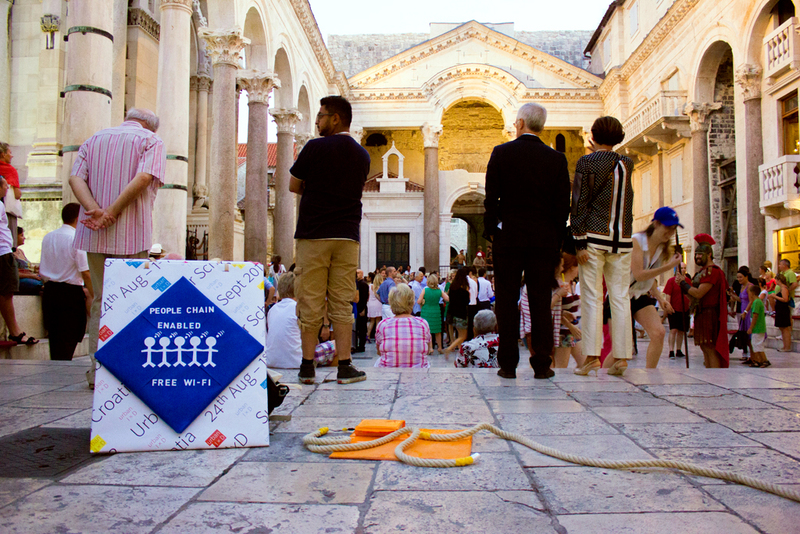 People Chain has been prototyped and performed in the city of Split during the Summer School, involving locals and foreigners in forming the people chain to enable together the free hot-spot.